The BSI runs an annual Immunology Teaching Excellence Award, which aims to highlight the outstanding immunology teaching happening at UK higher education institutes. We’re delighted to announce that the winner of the 2018 British Society for Immunology Teaching Excellence Award is Dr Jenna Macciochi, Teaching Fellow in Immunology at the University of Sussex. Dr Macciochi completed a BSc in Immunology at the University of Glasgow before conducting her PhD at Imperial College London. Since joining the University of Sussex two years ago, she has worked hard to put immunology firmly on the map for all life science, pharmacy and medical undergraduates. Congratulations Jenna! More information on the 2018 winner can be found here. The winner of the 2017 Immunology Teaching Excellence Award was Dr Andrew Foey from Plymouth University. More information on the 2017 Teaching Excellence Award can be found here. Information on the 2019 award is coming soon on this page. Through the award we hope to identify and highlight some of the exceptional immunology teachers working in higher educational institutes across the UK. We want to hear about the outstanding immunology educators teaching immunology at undergraduate or postgraduate level, up to the level of teaching first year PhD students. Nominations can be made for colleagues, teachers or via self-nomination. Details of case studies and reasoning behind the nomination should be provided in a supporting statement. Nominations can be made through downloading and completing the nomination form below and submitting it to our Education & Careers Officer, Eolan Healy. The winner will be given a £500 prize as well as free BSI membership for a year. If you require any further information or guidance about the Immunology Teaching Excellence Award please contact Eolan Healy. If you are nominating someone other than yourself, the BSI will contact the nominee within 30 days of the nomination being received to obtain consent from them to hold their personal information. If we do not receive consent from the nominee within this 30 day period we will be unable to hold their personal information and the application will not be able to be processed further. 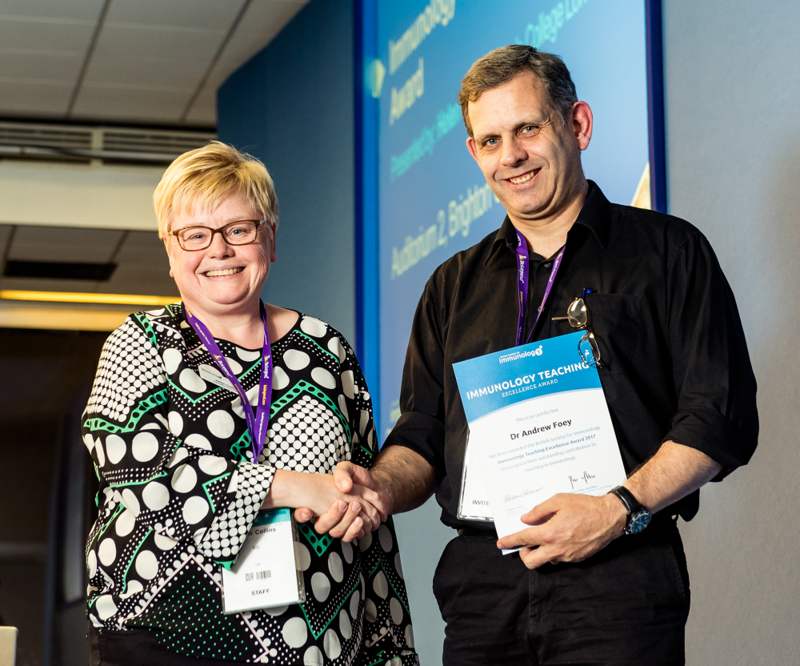 If you are self-nominating, by submitting an application you give us consent to hold the personal information provided in the nomination form in relation to processing your nomination for the Immunology Teaching Excellence Award.